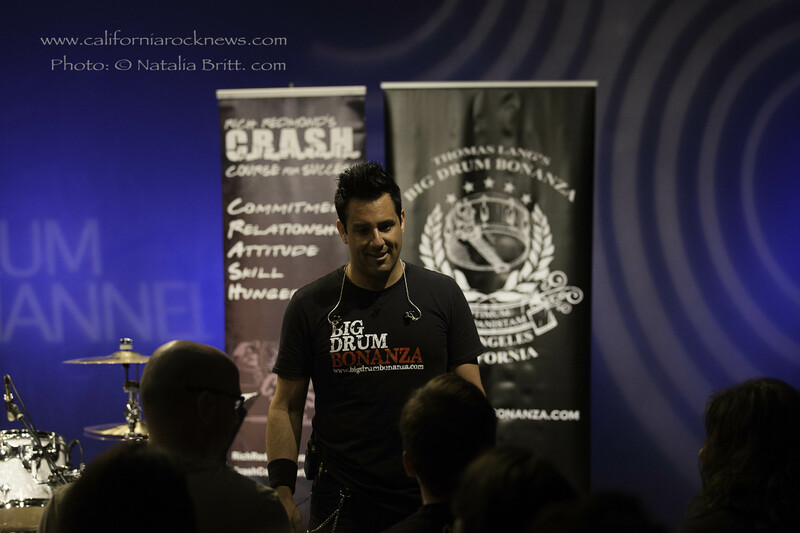 RICH REDMOND (country music’s most ROCKING drummer) conducted a masterclass at The Drum Channel during the second day of Thomas Lang’s Big Drum Bonanza 2015. Not only is Rich a world-renowned drummer and well known for his Jason Aldean gig, but he is also a motivational speaker that uses drumming to get his message across in his much sought after CRASH Course for Success. Rich’s passion, enthusiasm and energy comes through in everything he does, whether it is speaking, inspiring people or rocking out on a drum set. As a musician who has paid his dues and put in the hours to get where he’s at, his words provide invaluable information not only for musicianship, but for life in general.